The Operations Section is comprised of Kentfield Fire Protection District's emergency response personnel and equipment. The Operations Section provides a full range of emergency responses services including structural fire suppression, wildland fire suppression, response to hazardous materials incidents, Urban Search and Rescue, water rescue, vehicle extrication, technical rescue as well as basic life support and advanced life support medical services. Fire District emergency response personnel respond to several thousand incidents annually, of which approximately 65% are medical in nature, ranging from motor vehicle accidents, elderly falls, childbirths and heart attacks. 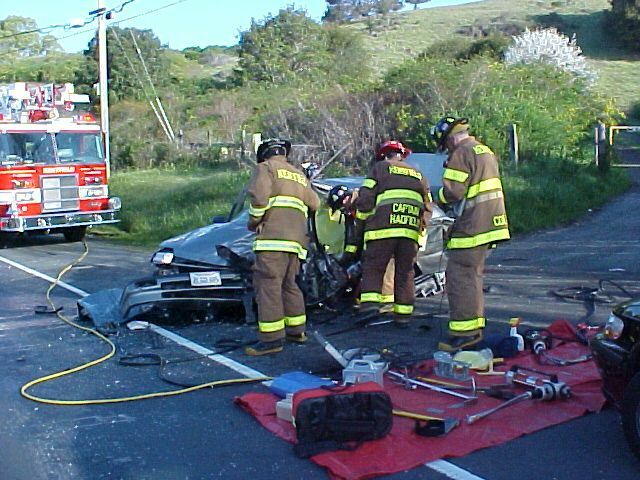 All Kentfield Fire Protection District emergency response personnel are Emergency Medical Technicians (EMTs) and provide Basic Life Support (BLS) medical care. EMTs interpret signs and symptoms of injury and disease, and determine the appropriate course of treatment. EMTs are trained to provide Cardio-Pulmonary Resuscitation, administer oxygen, control bleeding, perform spinal immobilization, splint fractures,automatic defibrillation, as well as any rescue functions needed to free a trapped victim. Paramedics, contracted from the Ross Valley Paramedic Authority, respond along with Kentfield Fire District personnel to provide Advance Life Support (ALS). A Paramedic is an advanced level of EMT certification. Paramedics must complete an extensive training program to enable them to perform specialized skills and procedures. These skills include advanced airway management, intubations, intravenous therapy, pharmacology and drug administration, cardiac monitoring and manual defibrillation. When a medical emergency is reported via 911, or a request for an ambulance is made, the closest engine company is dispatched in conjunction with one of the two Ross Valley Paramedic Authority ambulances. The District's goal is to get the closest available resource to an injured or sick patient as soon as possible so the appropriate medical treatment can be given. The District strives to provide care within 5 minutes of notification, 90% of the time. In addition to Ross Valley Paramedic Authority ambulances, the District is able to utilize the services of private medical helicopters to transport severely injured or burned patients to the appropriate Bay Area hospital. The Operations Section often provides non-emergency customer service when there is no other public agency or private firm willing or available to assist. Operations personnel assist with public education and information programs designed to prepare the citizens of the District for disasters and other emergency incidents, and conducts routine fire inspections on residences and businesses in the District.